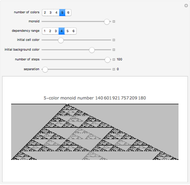 For every -element commutative monoid and every range size , there is an additive -color cellular automaton in which the color of a cell is simply the sum (in the monoid operation) of the colors of cells on the previous step. 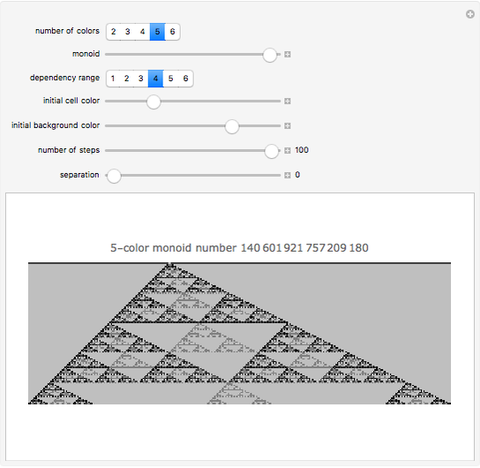 These automata always exhibit global nested structure when begun from a single cell. 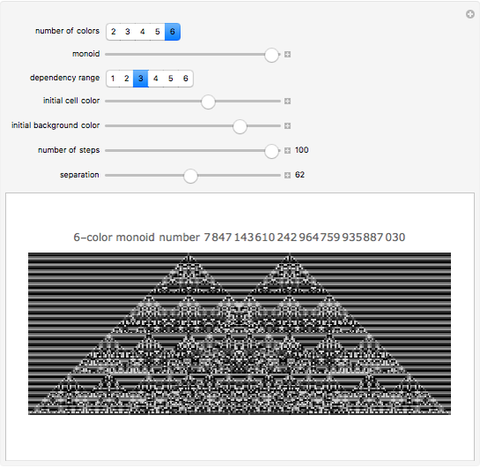 Eric Rowland "Additive Cellular Automata"